The State Library of Victoria is a wonderful place. For distraction-free studying/reading, try the beautiful La Trobe Reading Room…that’s the one with the domed roof. Although I suggest you don’t sit near the door if you don’t want to be diverted by the reactions of tourists and others seeing the room for the first time. The Redmond Barry room has a completely different feel, but is equally compelling. There’s a particular collection of PNG traditional tales that pulls me back time after time. I love the pillows in the Manuscripts Collection room for the sitting on of big but fragile books, and the genealogy room with all the microfiche and machines. Yesterday, I was there for volunteer training to support the Look! exhibition. The exhibition has been open for some months and has several still to go. 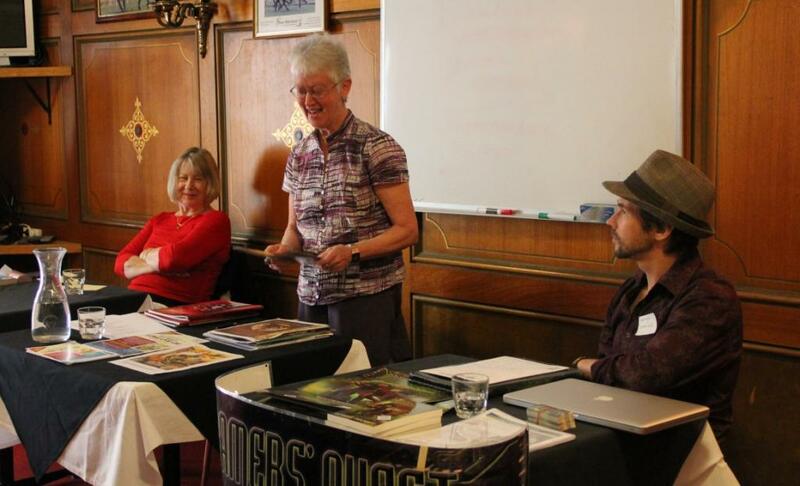 It showcases Australian picture book art. The books that feature the art are also there, and activities for the casual visitor and school groups. Volunteers, on this occasion, peopled the exhibition for a bit, then supported storytime. Storytime has been temporarily removed from the Experimedia space while they do things to the electrics (although they’ll soon be back in this space). So we were upstairs in Queen’s gallery (I think that’s what it was called). It’s a lovely space that I think used to be part of the Museum. At first it looked like there would only be a few children to listen to stories, sing some songs and do a fishy activity, but the trickle became a stream and the space filled with mothers/grandmothers and children. I was an observer but did get to join in on the singing and helped with the activities. Great fun. And a lovely way to bring young children into this wonderful space. May they all grow up to love this fantastic building with its knowledgeable staff and extensive collections. 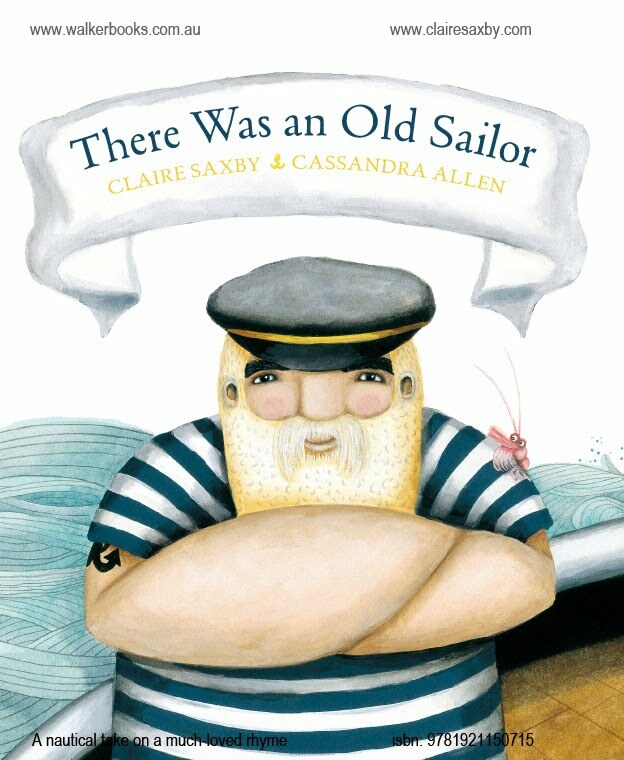 My picture book, “There Was an Old Sailor” is appearing today on Dee White‘s Boomerang Books blog, Kids’ Book Capers. Pop by and say hello. Saturday was SCBWI meeting, sandwiched between our choir performance at the Yarraville Festival and a masked birthday party for my niece and her father, my brother. So I had to carry changes of clothes, and three bags with the bits for each part of the day. Fortunately I got through without wearing/bringing the wrong bits to any of the three events. 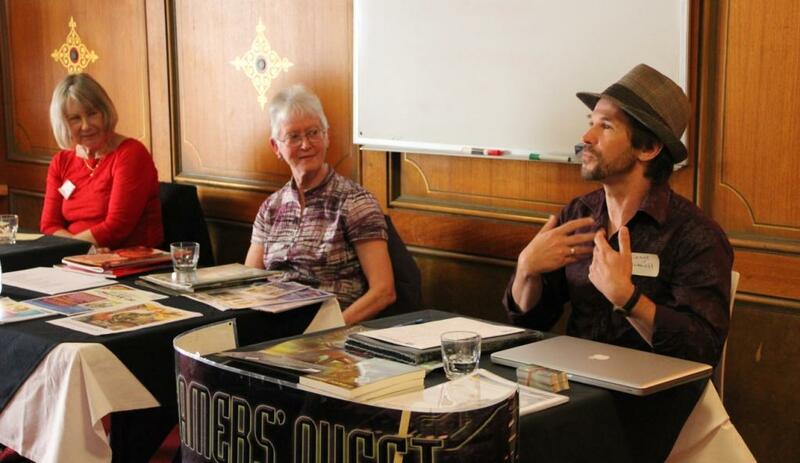 Usually, we have two member speakers who speak about particular elements of their writing/illustrating journey. 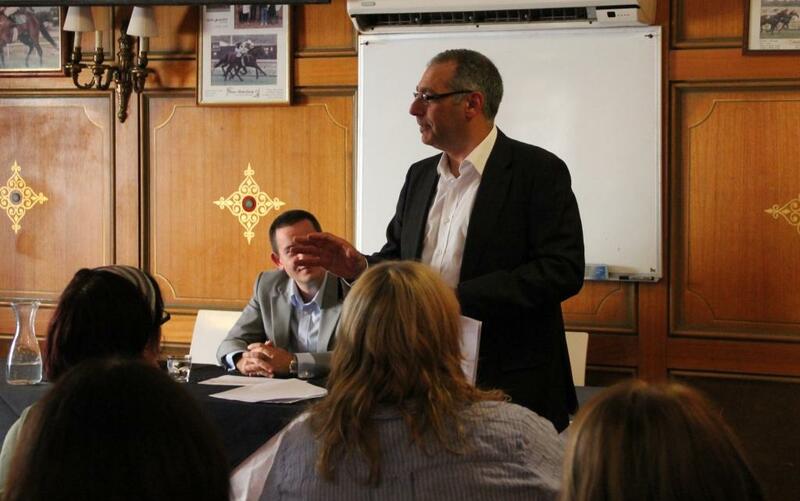 This month we had a panel of members, all talking about their experiences with promotion. It was fascinating to see the different approaches and a reminder that not all methods of promotion will suit all people. After afternoon tea, we got down to the nitty-gritty of the business side of the industry, hearing about accounting and tax and how to do it as accurately and easily as possible. The session went long as the accountants fielded questions about some of the issues particular to our industry. 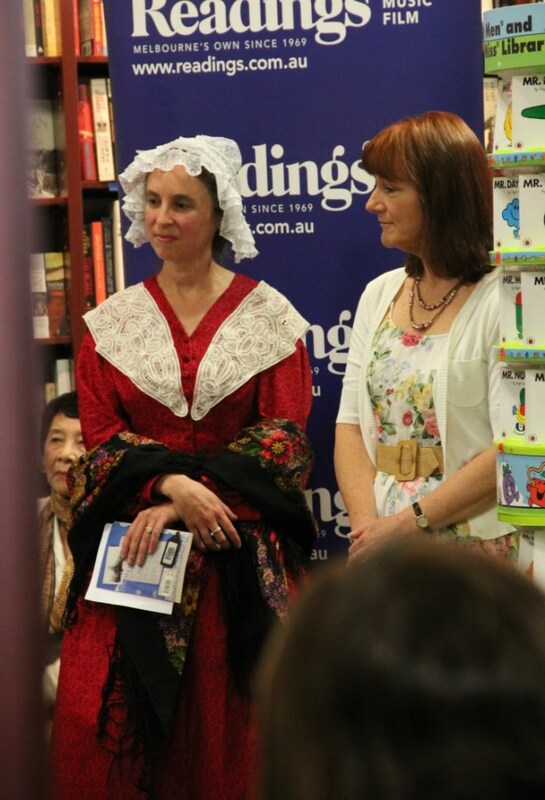 Sunday saw the launch of Penguin’s new Our Australian Girl series, by Bridget Duclos. The first four books, each being book 1 of 4 for a particular character, were released to the world. 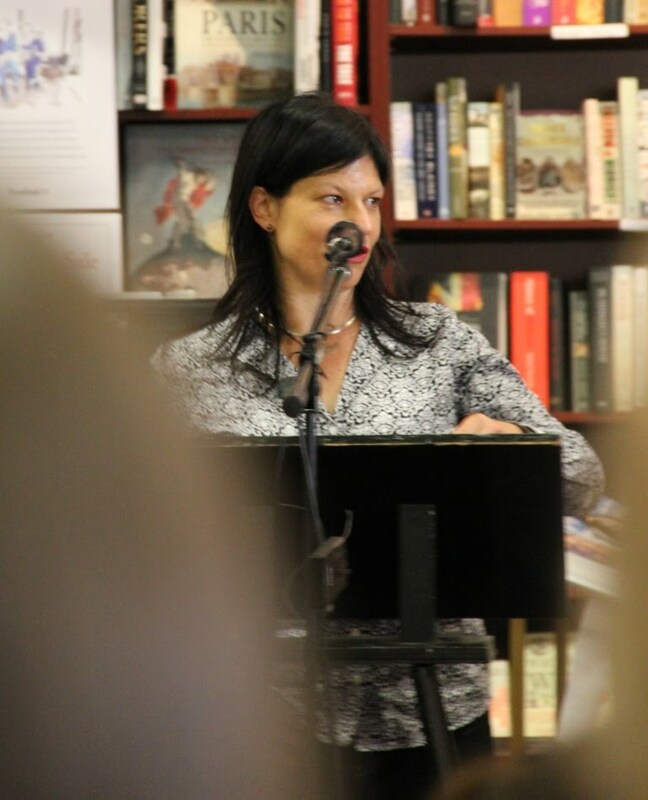 Jane Godwin, Penguin Children’s Publisher talked about the genesis of the series. They are for 9-13 year old girls and make history real for this generation. 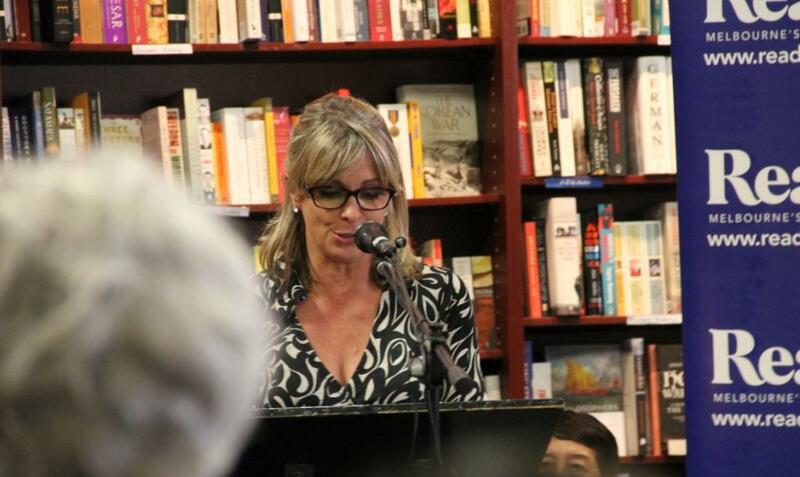 Readings in Hawthorn was overwhelmed by the number of people. I feel for anyone who came trying to just browse. 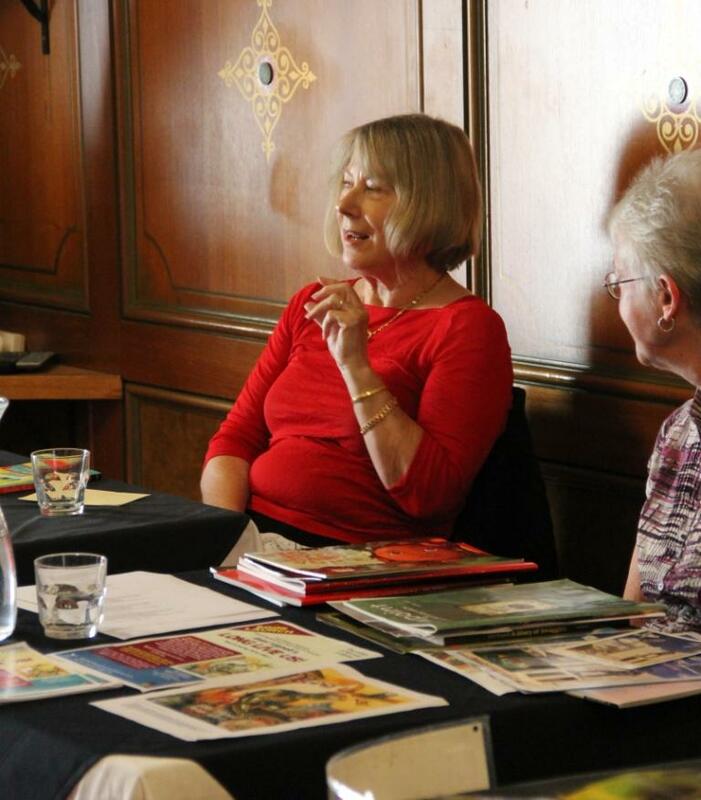 Alison Lloyd and Sherryl Clark, two of the series authors. 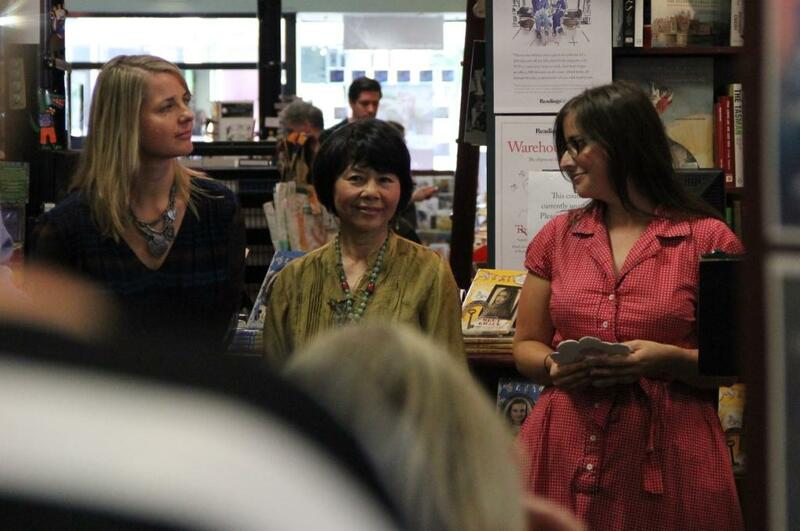 Sofie Laguna and Gabrielle Wang (the other two series authors) with the series editor, Davina Bell who spoke very enthusiastically. A friend and I walk weekly with my dog. Sometimes we head to the beach, sometimes to the park, sometimes around the streets. We used to walk around Cherry Lake but every time we arranged to meet there, it rained enough to flood the path around the edge. But last week, the weather was clear and there were barely showers in sight, so I thought we’d be okay. And it was okay while we were walking. 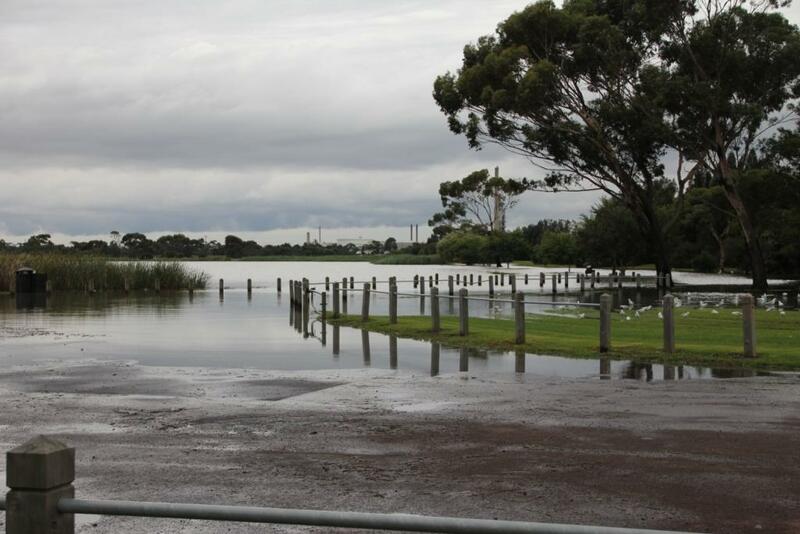 Raining but not enough to flood the lake. However, last night, Yasi’s tail flicked and we had a tiny taste of her power. 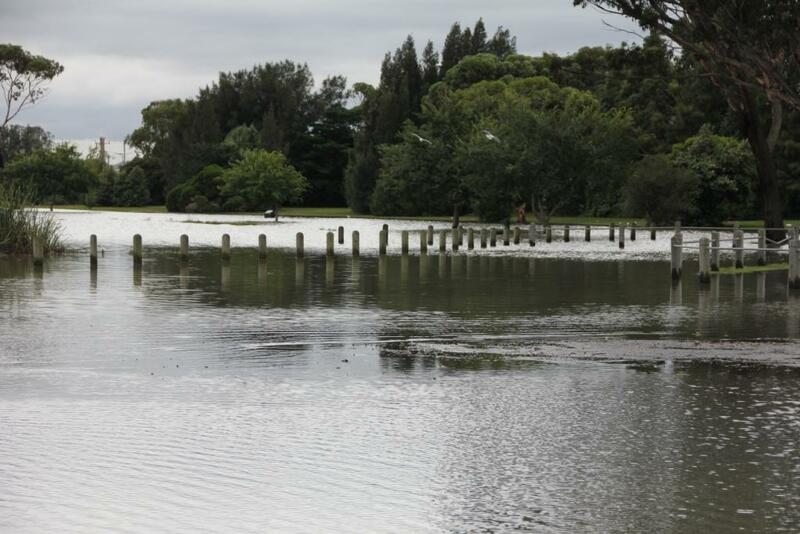 I’ve never seen the lake higher. 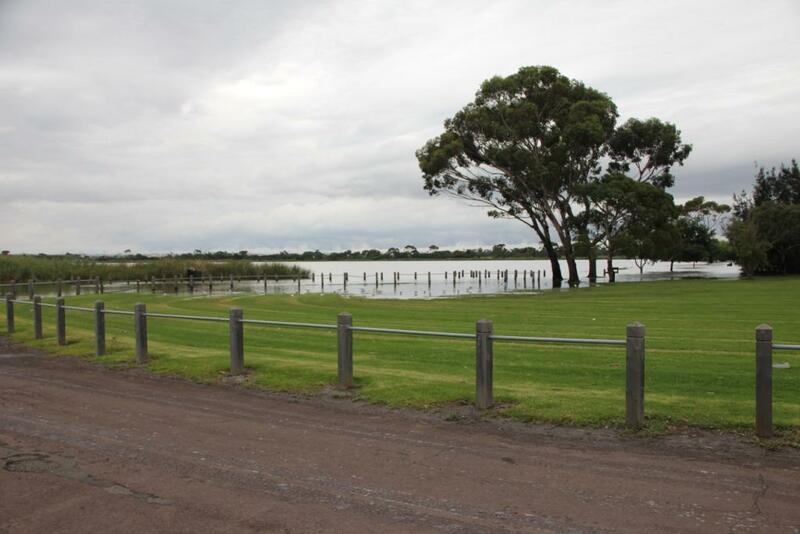 The walking path is beyond the bollards, and the lake edge, beyond the reeds at left. We may never be able to walk there again. We’re just too powerful!